Some of the common core standards are pretty simple and strIghtforward to teach. Others are much more daunting. First grade ELA standard RL 9 is a standard that we have been putting off for awhile now because it seemed too tricky to teach to first graders at the beginning of the year. Today we finally bit the bullet and took on big bad RL 9, and guess what? The kids did a great job! 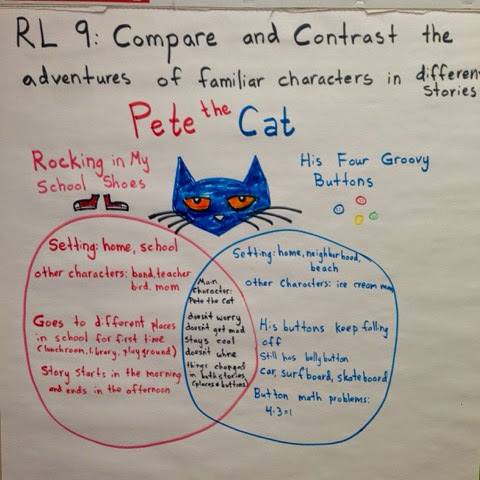 We did a pretty basic Venn diagram poster comparing two Pete the Cat books (which the kids love). Check it out below! 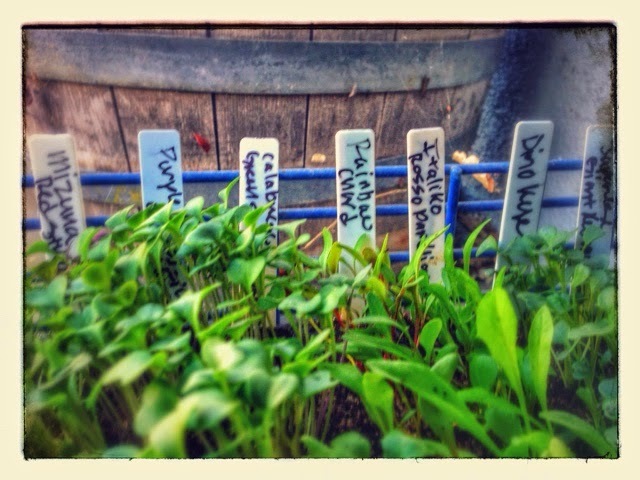 Here are some good looking seedlings that we planted in our fall garden. It's so much fun to play in the dirt at school! We are going to use the lettuce and greens in our school cafeteria. 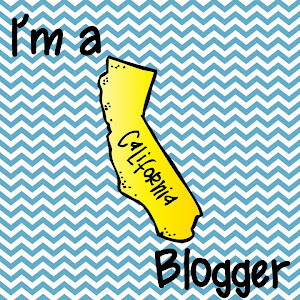 We just hit 2,500 followers on Pinterest! We are so excited for summer! We will be spending a lot of time with our baby - at the beach, going on walks, and just hanging out at the house. It's so nice to have some time to recharge once the school year is done. We will also both be teaching some summer school for a few weeks. Many other teachers we know work as summer school teachers, camp counselors, and tutors during their summer months. We have several resources that are very helpful for teaching during the summer. 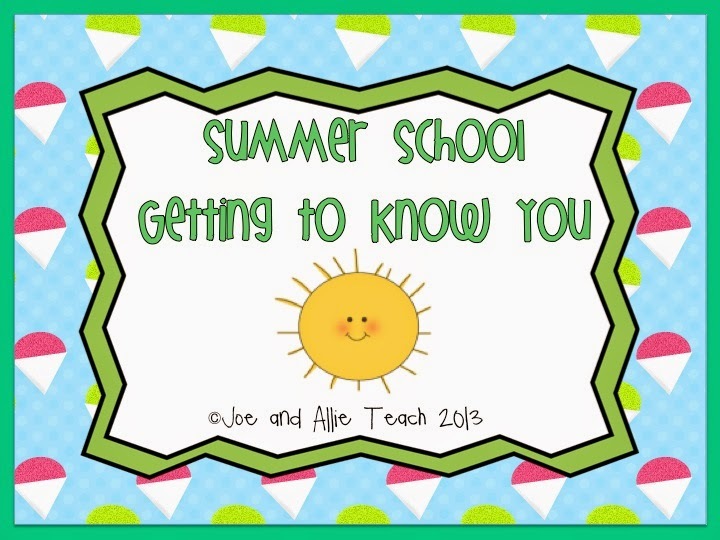 Summer School Getting to Know You has lots of writing activities to help students adjust to summer school. 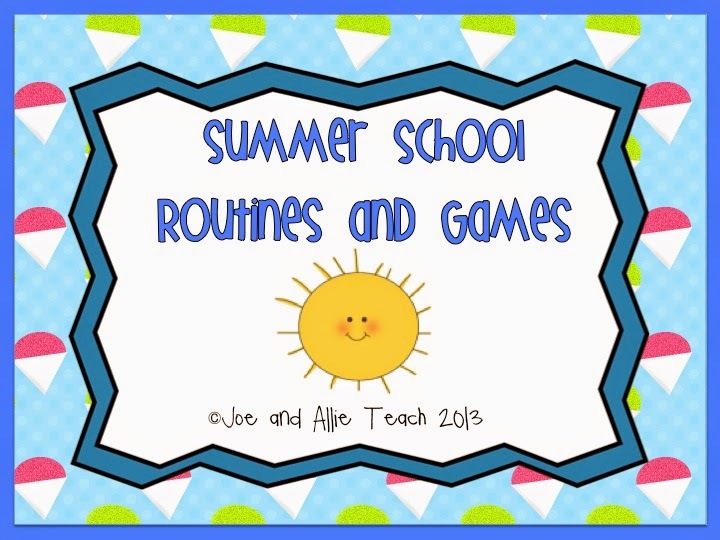 Summer School Games and Routines has suggestions for carpet time activities, as well as a couple art and Fourth of July resources. 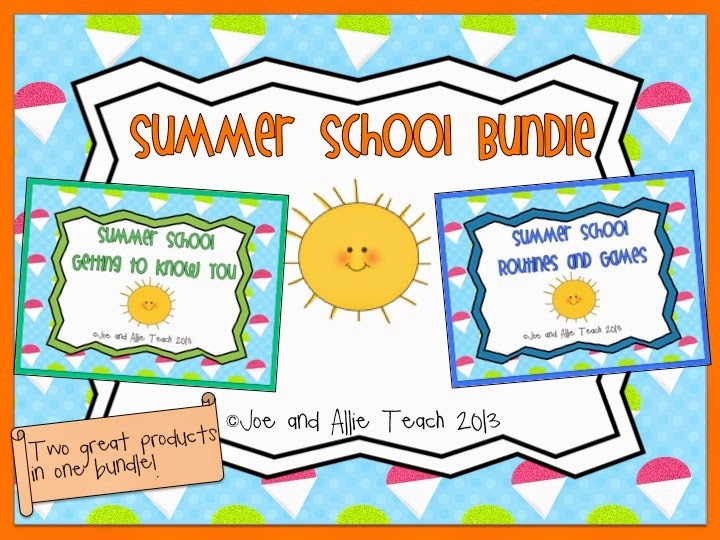 We also have a Summer School Bundle with both of these products. Whatever you are doing this summer, we hope that you had a wonderful time! 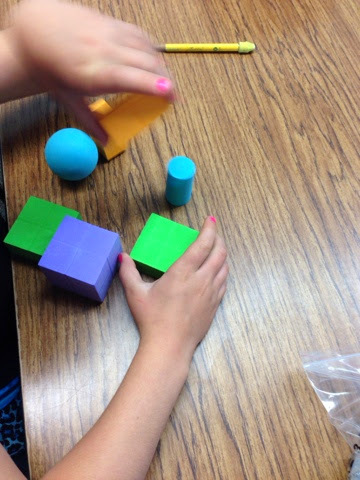 We started a new geometry unit in math and the kids love investigating these shapes. It has been interesting to see how their "math talk" has improved since the beginning of the year too. It was definitely helpful to let them play with the manipulatives for a couple of minutes so they could get it out of their systems.